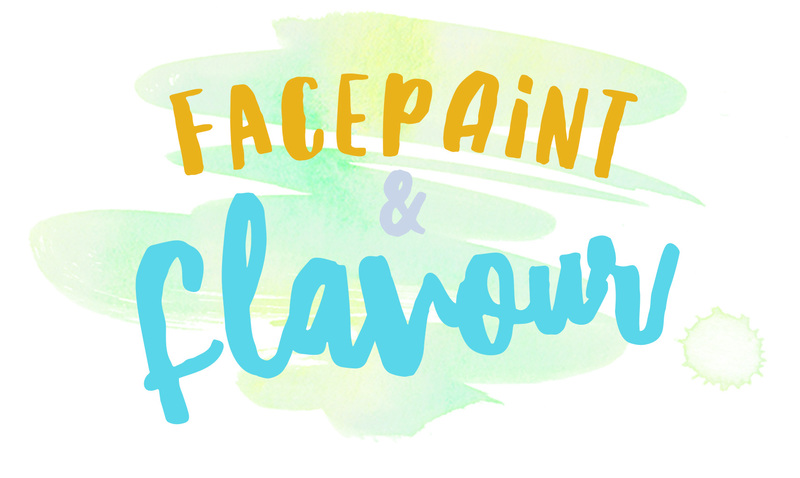 We all know gluten free food can be expensive, not least if you are intent on recreating wheaty treats with all manner of wonderful flours; so I’m pleased to be taking part in Caleigh’s latest Recipe challenge – to create an easy naturally gluten free meal that costs about £1 per portion. They are made of weird stuff. They’re often just not normal – I love lentils, but the fact is lots of people like normal grub a lot of the time! They take too long. I like to cook from scratch, but realistically we all have jobs and can’t spend hours making our own stock from leftovers. They don’t actually fill you up. The ‘feed your family for a fiver’ recipes typically have the right amount for just my husband and I. We’re by no means fatties. They miss key nutrients. Especially expensive protein. We don’t all have home dried herbs on a washing line in our beautiful warehouse-conversion kitchen. Yes, Mr. Oliver, I’m looking at you. My recipe isn’t revolutionary, but it’s one we turn to on an almost weekly basis – I have a massive hatred of any food waste, so it’s perfect for using up any odds and ends in the vegetable drawer that are slightly past their best. I often cook too much rice deliberately to make it, and have the cold leftovers in my lunchbox the next day. Serves: 2, plus some leftover for tomorrow’s lunch. Takes: 20-30 minutes. But I can highly recommend any combination of peppers, mushrooms, frozen peas, cooked broccoli, cooked squash, spinach or cold meats. Preheat your oven to 180, and oil a large ovenproof frying pan. If you don’t have an ovenproof frying pan, use a normal one and have a cake tin, pyrex dish or similar prepared to bake your frittata in. 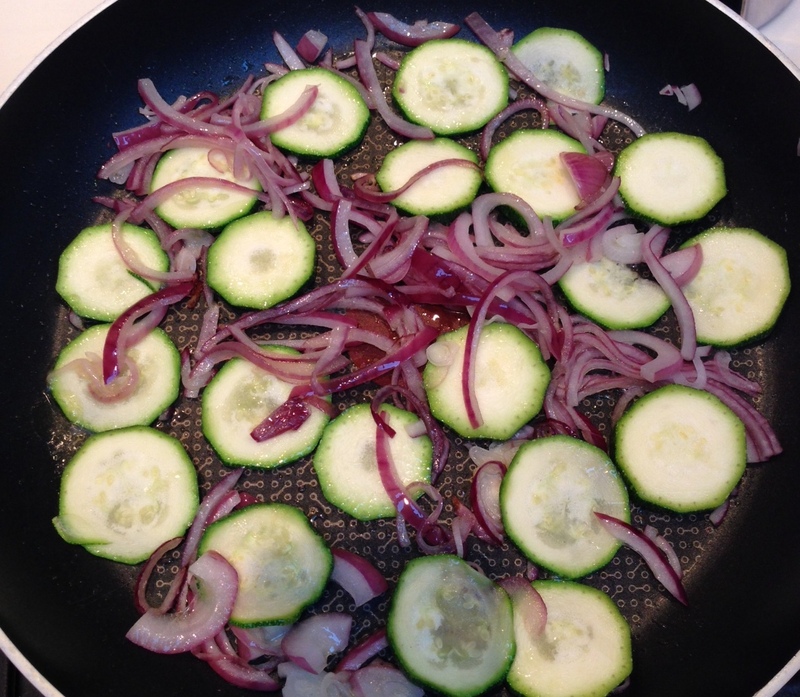 Prepare your fillings: slice potatoes (if using), onions and veggies into thin slices; wash and drain any leafy veg (e.g. watercress or spinach); grate the cheese. Whisk the eggs in a large jug or medium sized bowl and season well. Heat the frying pan on the hob, and slightly soften and brown your ‘firm’ veg – e.g. potatoes, courgettes and onions. If you are using cooked rice, add it to the pan now, and stir fry until it is piping hot. Add in any leafy veg (watercress) and stir fry until slightly wilted. Now add all of the fillings from the pan to the eggs (not the other way around), and stir until it is well coated in egg. I really think doing it this way round is the secret to a good frittata! Tip the eggy mix back into the pan, and cook gently until the bottom has begun to firm and brown. Sprinkle the cheese and spread the tomato on top, and season again. Put the whole pan in the oven, and bake until the cheese is melty and just starting to brown. Remove it from the oven, and leave to rest for a few minutes before slicing into wedges and serving. Cool any leftovers completely before refrigerating. ← It’s a general life update blog! 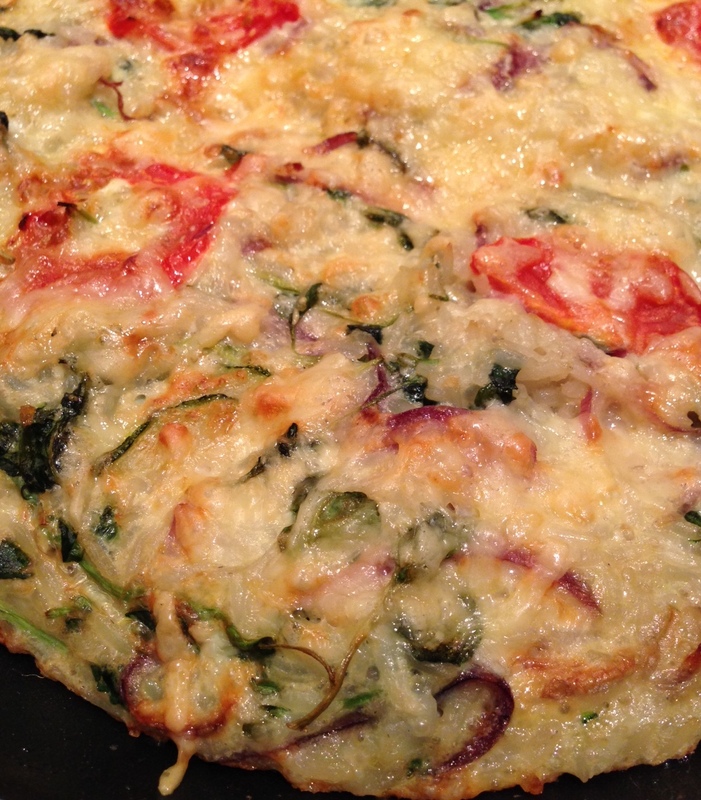 You’re a flipping genius, using leftover rice in a frittata! I, in a very closed-minded way, never considered any carb other than potatoes. What a brilliant dish. But seriously, I’m always a bit nervous about reheating rice … any cardinal rules?